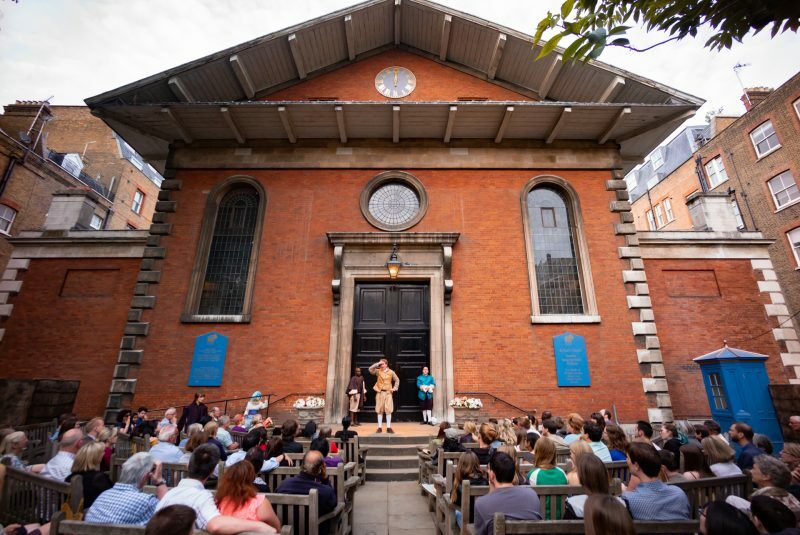 St Paul’s Church in Covent Garden offers a charming outdoor setting for Iris Theatre’s production of The Tempest, directed by Daniel Winder. Probably the last of Shakespeare’s plays, The Tempest concerns the plans of Prospero, the deposed Duke of Milan, as he plots to reinstate himself and his daughter to their rightful place by conjuring up a shipwreck for his estranged and disloyal family members. 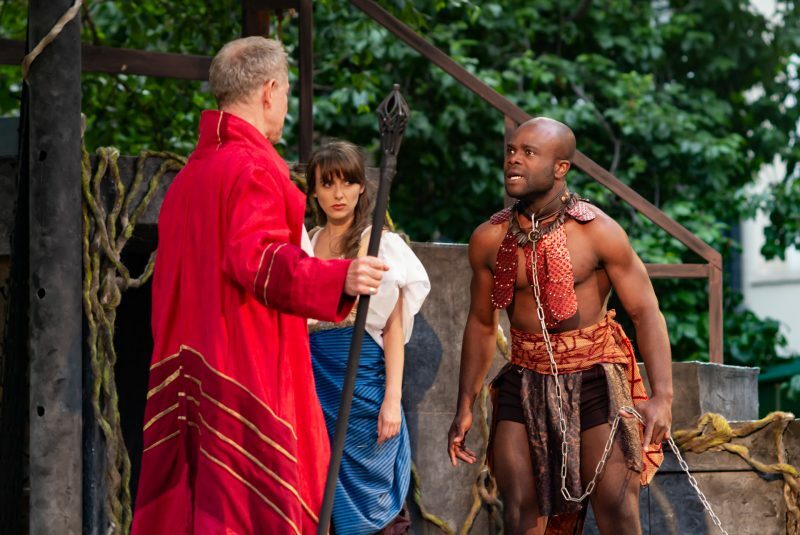 Set on a remote island, The Tempest is a play of sea storms and sorcery. It is about freedom and entrapment, and it is also about the boundaries of theatre itself. 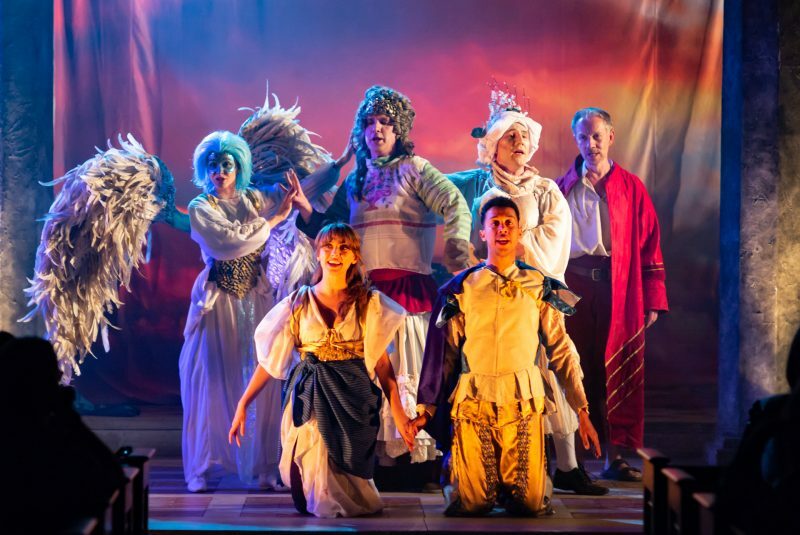 The relationship between magic and art – and performance – is at the core of the play’s themes, and it is from this that Iris Theatre takes its cue. Playing Ariel, Charlotte Christensen does a good job of portraying a spritely and unearthly being. Her eerily fixed smile emphasises the unnerving quality of jerky gestures that are sometimes bird like, sometimes cat. The dynamic between Ariel and Prospero, played by Jamie Newall, seems to underpin this twitchiness, and serves as a good contrast to the solid, angry movements of Prospero’s other servant Caliban (Prince Plockey), whose status as a slave is made apparent throughout the production in more ways than one. Elsewhere, Paul Brendan and Reginald Edwards (Trinculo and Stephano respectively) deliver some excellent and memorable comedy scenes, and do much for the overall energy of the show. 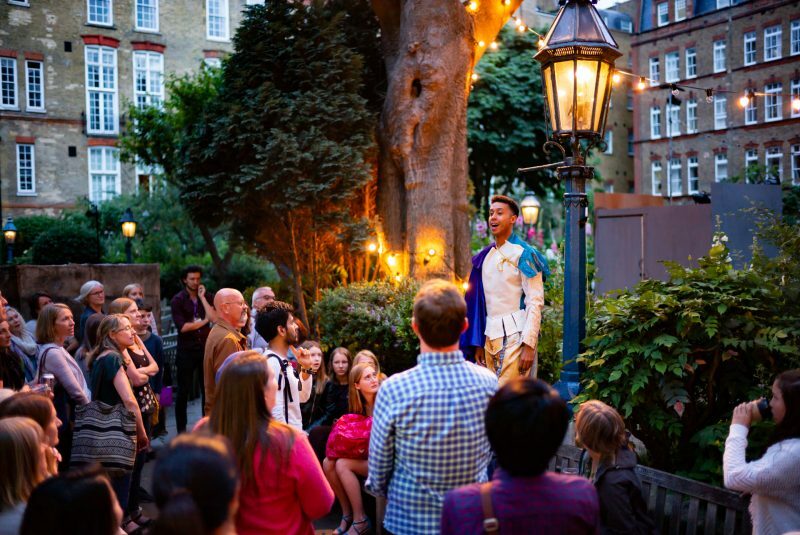 Staging and scenography takes its inspiration from English masques: opulent nights of entertainment held in Tudor and Stuart courts, comprised of music, dancing, bright colours and special effects. The stage (or stages, to be more accurate) is thus packed with smoke, flames and feathers, while recorded music alongside string and wind instruments fill the space with the “sounds and sweet airs” that The Tempest’s lost island setting is so famous for. The effect is enjoyable but not altogether successful. 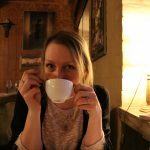 Set in the throng of Covent Garden, the magical quality of flute sounds or ethereal singing struggles, at times, not to be drowned out. Despite this, the music contributes largely to the atmosphere of enchantment. St Paul’s church is a building designed by Inigo Jones, who was also a famed court masque designer. Winder’s Tempest pays homage to this with an innovative use of space that not only makes use of trees, steps and doorways, but requires the audience to move in and around the building as the play unfolds. This is an interesting and refreshing engagement of both space and audience attention spans. 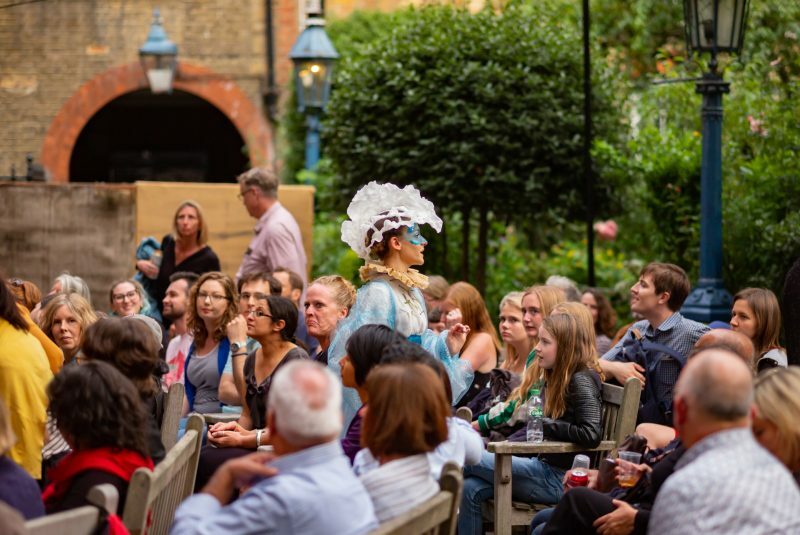 Beckoning audiences to move around the courtyard changes perspective and breaks up the 2.5 hours (including interval) running time, but the disruption in flow and changes of seating might not be to everyone’s taste. 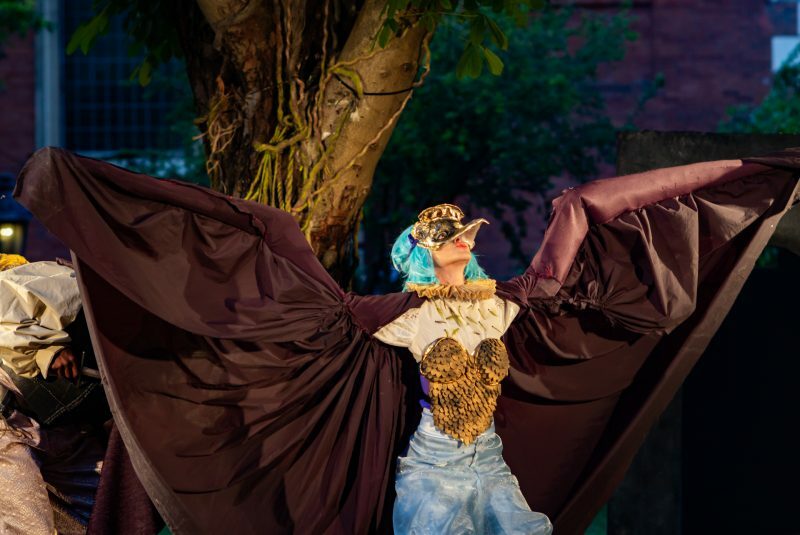 All in all, this playful and fantastical production of The Tempest is a pleasant and interesting addition to this summer’s selection of open-air Shakespeare.